John Wellwood is an international Lean Six Sigma and Business Improvement specialist who has worked across five continents as both a consultant and a practitioner. As Business Improvement director for Invensys ($12 billion turnover), he supported the company to transform and secured hundreds of millions of dollars of savings. John established his organisation, 100% Effective Ltd, 18 years ago and his firm now supports companies through Business Improvement and trains thousands of Lean Six Sigma delegates each year. In 2007, John and his team developed 100% Effective’s first suite of Lean Six Sigma eLearning courses. Today, his new generation of market-leading eLearning is used all over the world and is used by 100% Effective to run effective blended learning courses for classroom delegates. For over 12 years, John has pioneered the use of blended learning in a Lean Six Sigma environment in the UK and provides support to organisations, consultancies and training companies looking to use eLearning to maximise learning. Over the last few years, John has had the pleasure of presenting at the British Library, company AGMs, and conferences across the UK. As a student of change as well as Business Improvement, John brings almost three decades of experience to his seminars and assignments. 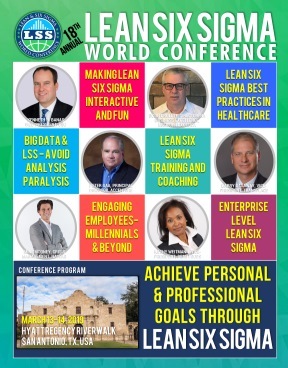 His Scottish upbringing, international travels, and experience deploying and supporting Lean Six Sigma projects in almost all industries provides him with a unique insight into what is required to be successful at all levels. He is an energetic and engaging presenter who will share experience and his insights into how to obtain maximum benefits for an organisation while developing the skills of those involved.